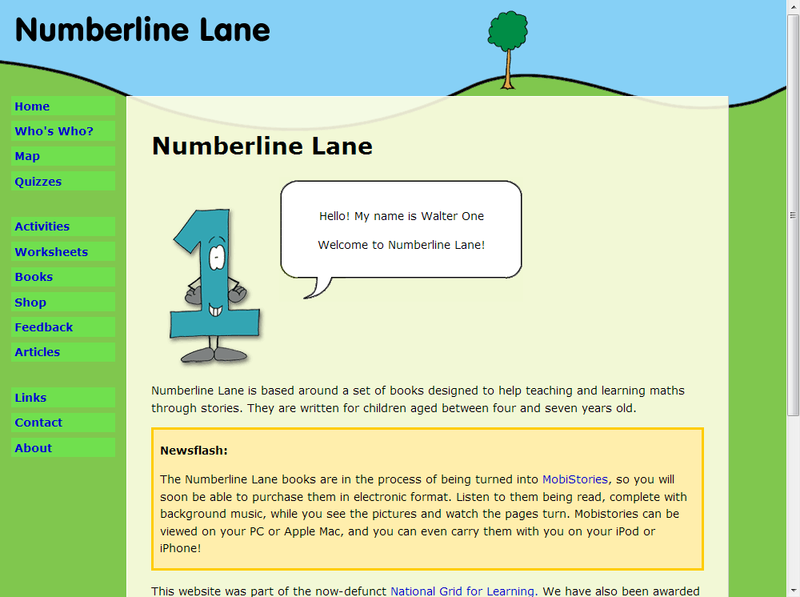 Numberline Lane is a set of ten mathematical story books. This site is designed to complement the books, with additional resources and activities, and to provide an online shop to buy them from. The site uses WorldPay as its payment provider, with customised payment pages to fit in with the look of the main site.